Someday I'll have a marketing/PR person to help me with the minutia of writing. So much to do, so little time. 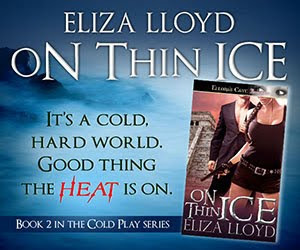 But this week, Dar Albert (my cover designer) finished up a new logo for "Eliza Lloyd" - and I really like it. You might be seeing it around from here out. What do you think?